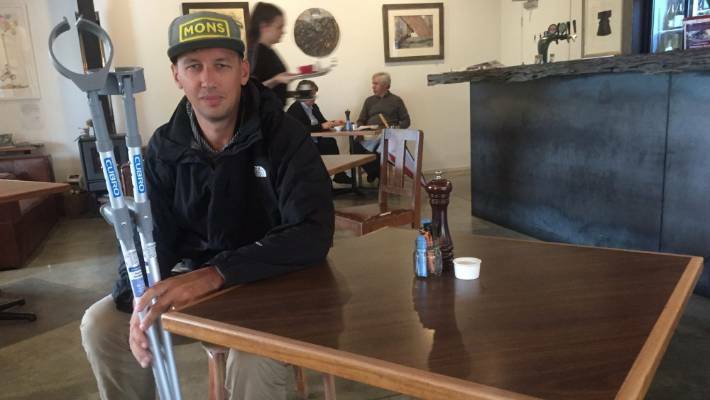 Bannockburn cafe owners Jimmy Fairweather and Katie Funnell told they had to get rid of chairs to comply with resource consent. 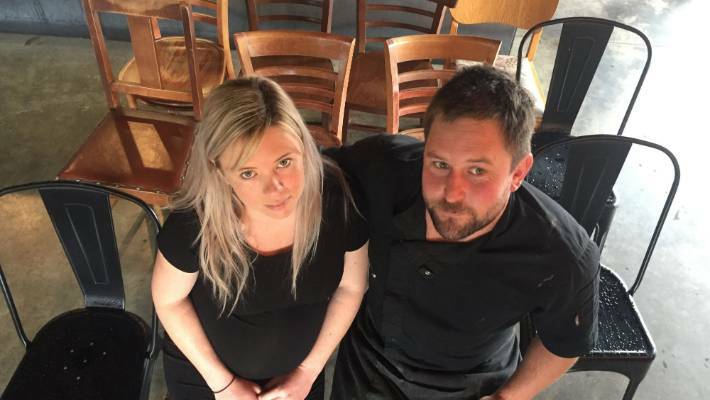 A couple say they face going broke after the council told them to remove all but 12 chairs inside their cafe – or stop operating. .
Jimmy Fairweather, 34, and Katie Funnell, 28, bought the Black Rabbit Kitchen & Bar in Bannockburn, on the outskirts of Cromwell in Central Otago, a year ago. Fairweather said their dream had turned into a nightmare. 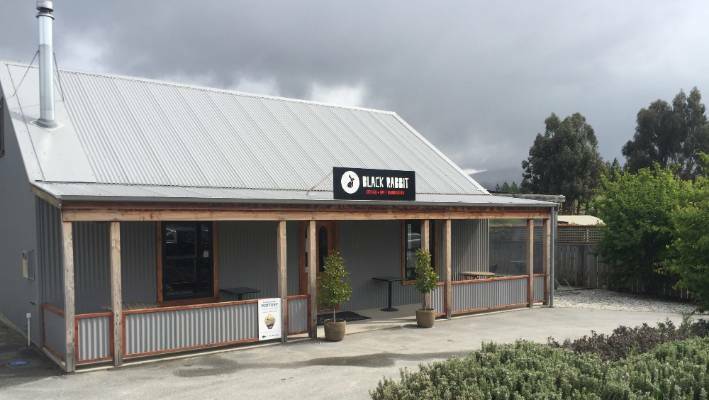 The owners of the Black Rabbit Kitchen & Bar in Bannockburn had to remove the bar stools and reduce the number of chairs to 12. 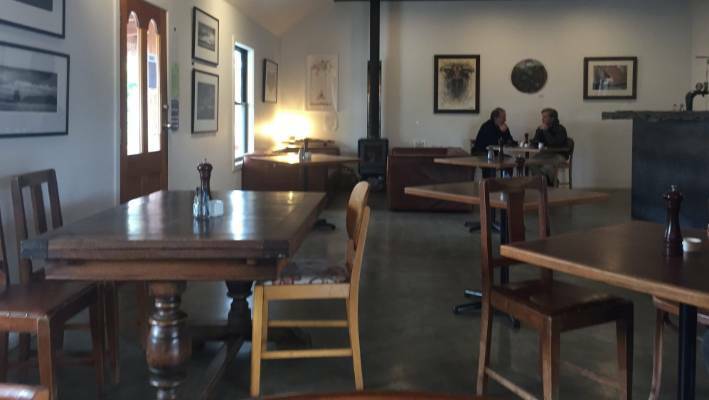 Three days before Labour Weekend the Central Otago District Council emailed the couple, co-owner Matt Crimp, and their landlord, to say they were operating outside the bounds of their resource consent by having seating for more than 12 people inside, and more than 12 people outside. Council staff arrived on Friday morning to check the chairs had been removed, and warned they would be monitored over the weekend. 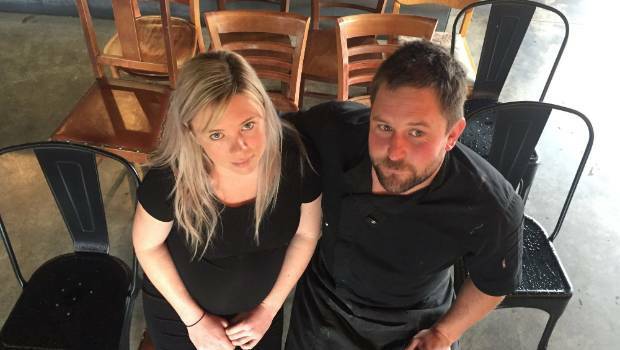 Black Rabbit Kitchen & Bar owners Katie Funnell and Jimmy Fairweather, who are only allowed to operate with 12 chairs inside their busy Central Otago cafe. "It's turned into a nightmare, and it's a nightmare we can't get out of because we are financially invested in it. If we have these restrictions put on us we will end up going broke and that will be the end of this," Fairweather said. When they were buying the business, no-one disclosed there was a limit of 12 seats inside, he said. Had they known, they would not have gone through with the purchase. Their lawyer and the previous cafe owner had not picked up the condition, which came to light after a neighbour opposed the couple's application to renew their liquor licence, he said. Twelve chairs are scattered around lonely-looking tables at the Black Rabbit Kitchen & Bar in Bannockburn, Central Otago. "I said [to council], 'you must have been in here over the years and realised there was more than 12 seats inside and 12 seats outside'. They said unless there is a complaint they don't do anything." The couple, who are 30 weeks pregnant with their first child, have turned hordes of customers away, and looked on with embarrassment as patrons stared at chair-less tables. Some customers left. Others chose to stand. Some sat on the ground. "I am wild about it. It's ridiculous. All the tables that are here now were here before, and there was seating for about 40 inside and 40 outside when we bought the place." Bannockburn resident and Black Rabbit Kitchen & Bar patron Duncan Faulkner was one of over 2000 people to sign a petition supporting a change in consent for more seating to make the business viable and meet patron demand. Former owner Imelda DeFreese said she was the fourth owner of the business and was unaware of any 12-seat condition. "It was never something we were aware of. I don't understand how it happened in the first place and why the original owners never brought it up. Bums on seats is how you make money in this industry and you can't make it on 12. I would have never bought the place if I had known that." Landlord Tim Hawkins said a submission was currently with council to increase patron numbers to 36, which had been approved by the owners before it was submitted. Black Rabbit Cafe in Bannockburn, Central Otago. Fairweather said he understood the application was for 36 inside and 36 outside, not in total. "For us to trade, we need the numbers back to where they were. However, the council has said they will only consent for 36, which only gives us six more inside and six more outside, which is miles away from what it was originally. I don't understand where they got that number from and no-one can tell me." 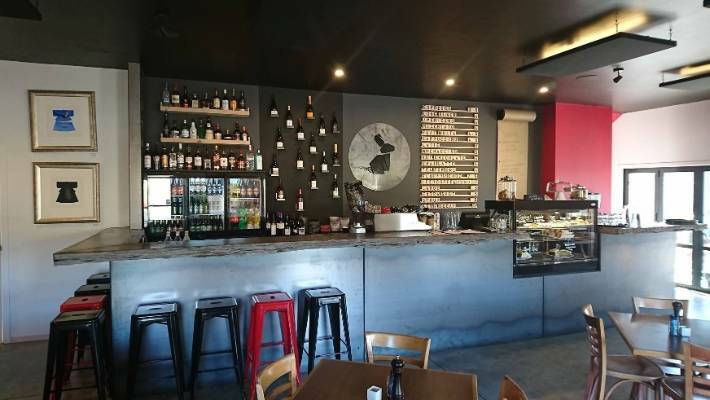 Bannockburn resident and Cromwell Business Network member Duncan Faulkner said Bannockburn only had one cafe and it was one of the best in the region. "It's owned by a young couple who are risking everything to make the cafe a success, and they are doing an incredibly good job. My family and I love it," Faulkner said. More than 2000 people had signed a petition started by a patron in support of the cafe, he said. "The council have discretion in their enforcement. Why can't CODC give them a few months to fix the consent, have their baby and give them a fighting chance a keeping the business alive?" Stuff asked the council for comment on Friday, but it did not respond. However on October 21, council executive manager of planning and environment Louise van der Voort emailed the couple. She said the petition and "misinformation" about the consent and the position of the neighbours could "antagonise neighbours" and affect their new consent application.